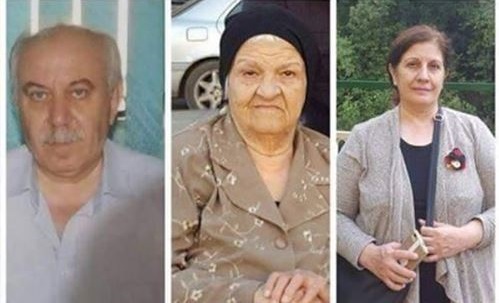 An Assyrian Christian family of three were murdered in their home in a predominantly Shia neighbourhood in the Iraqi capital, Baghdad, last Thursday (8 March). Dr. Hisham Shafiq al-Maskuni, 61, a radiologist at a nuns’ hospital, his wife Dr. Shaza Malik Dinno, gynaecologist at the same hospital, and her elderly mother, Khairiyah Dawood Abada, were stabbed by four men who then stole money and some items from the house. The bodies were found by the neighbours the next morning, after they noticed through the open door the doctor’s body in the corridor, covered with blood. The police later found his wife’s body in the kitchen and her mother’s on the second floor. A spokesperson for Iraq’s Interior Ministry announced on Saturday, 10 March, that they had caught the suspects. Although their motivation remains unknown, a local source told World Watch Monitor the incident has increased fears among Iraqi Christians. Just some weeks before this incident, a young Christian man, Samer Salah Addin, was shot dead in front of his house in Baghdad. Commenting on the two incidents, Fr. Biyos Qasha of Baghdad’s Maryos Church told Kurdish TV channel Rudaw that he saw signs of a plan “to force the Christian population from their homes and out of the country”. The Assyrian Democratic Movement (Zowaa) in Baghdad condemned the incident and called on the Iraqi government to fulfil its responsibility to protect Christians from such acts of terror. The doctor’s family had fled Iraq previously but then returned about five years ago. They were planning to leave Iraq again in the coming days. Following forensic examination, their funeral was held in the Syriac Catholic Mar Behnam church in Baghdad. The number of Christians in Iraq has been dramatically decreasing in recent years because of many violent incidents against them, particularly at the hands of IS. It has resulted in the closure of many churches because of dwindling congregations.